Unlit, it is a flat piece of etched acrylic on a wood base. 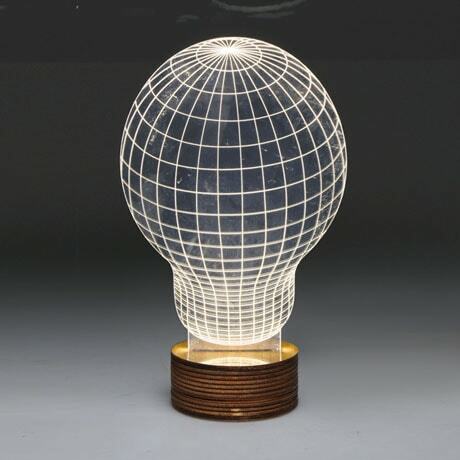 Switch it on and suddenly it's a curvy, glowing oversized 3-D image of an Edison-style bulb. A fun and fascinating accent for home or office. 42" cord plugs into any USB port. 6"w x 10"h x 3 ½"d. Simple assembly; insert clear top into wood pedestal. Arrives boxed.